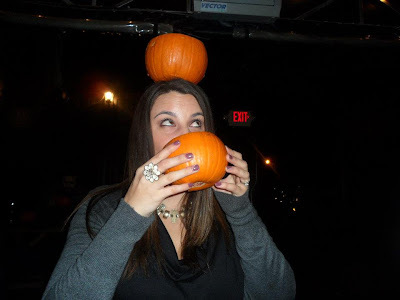 Just Keep Sweating: Pumpkin Overload. The week that wouldn't end finally has! I am really looking forward to this weekend, starting with tonight. 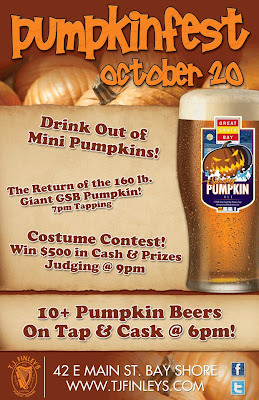 As soon as I am off of the train I am heading to the Post Office Cafe to pick up my race packet for tomorrows 5k and more importantly, my complimentary beer, probably pumpkin or a Samuel Adams Octoberfest. Tomorrow morning is Jump & Drill from 8-9 then the race at 10 am. Super sweaty Saturday for me! Thankfully my outfit is all picked out and ready to go, including a pair of Halloween socks. A few weeks ago my mom picked up some of Trader Joe's pumpkin pancake and waffle mix. Given the theme of the weekend I may need to make some of these in between my workouts. 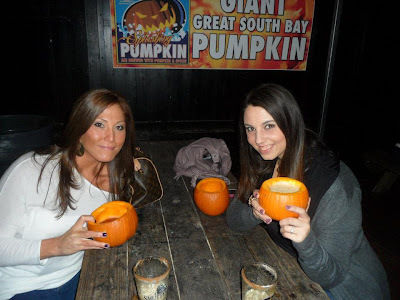 All those calories I'll have burned from my workouts will be going right back into my body at TJ Finley's [my favorite bar] for PUMPKINFEST! It is by far my favorite day of the year. 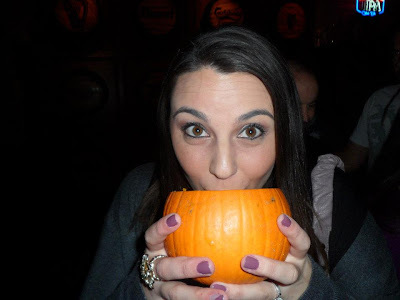 However you can never have too many pumpkin activities in your life, so Sunday night me Lauren and the fam are headed to Old Westbury Gardens for Rise of the Jack O'Lanterns. 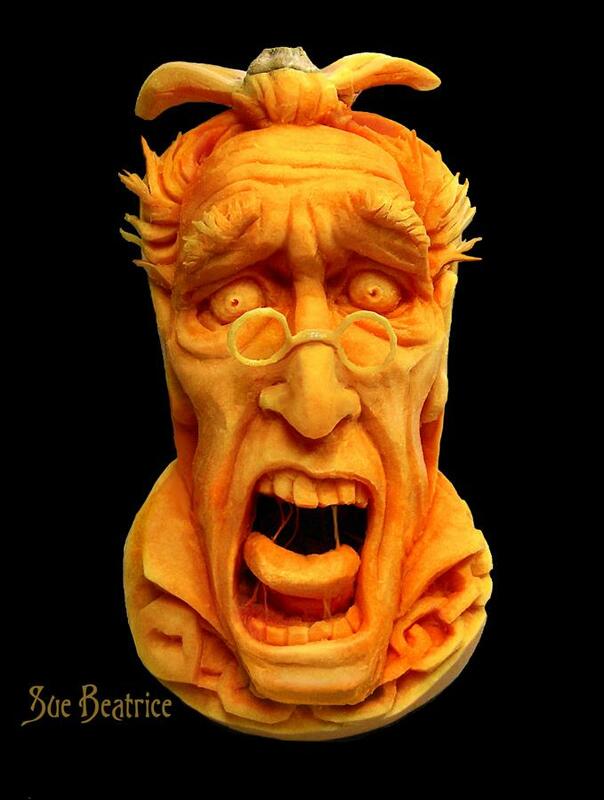 If that isn't amazing, I don't know what is! I think some decaf pumpkin spice lattes will be in order for this event. I have not been this excited for a weekend in a very long time. That last pumpkin creation literally made my heart leap as I scrolled down to see it, ha! CREEPY! Good luck in the 5K! I have plans to see Paranormal Activity 4 tonight. Workout for the day is already done. Day off tomorrow. Back to it again on Sunday with a full body workout. By the way, speaking of pumpkins I attempted to make a Protein Pumpkin pudding I got from Nia Shanks' website and I guess I screwed it up because it was not as good as I had hoped. I didn't have any pumpkin spice and it REALLY must have needed it. 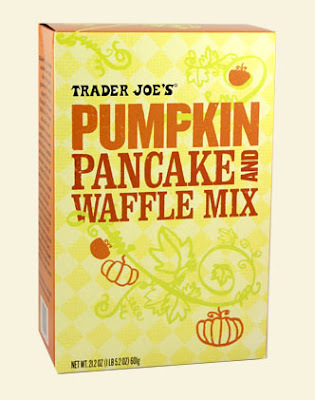 I love Trader Joes and all things pumpkin so I will be picking up the pancake mix this weekend! And the drinking out of mini pumpkins is too cute! I wish they did something like that here in Lexington! Pumpkin Beer is my biggest weakness. Well, beer in general - LOL! Hope you had fun at the 5k, I'm thinking of signing up for one! I WISH WE HAD A TJs!!! Nice post ! Thanks for, posting on my blog mate! Thank you sir,I recently came across your blog and have been reading along. nice explanation.I feel great after reading this information.